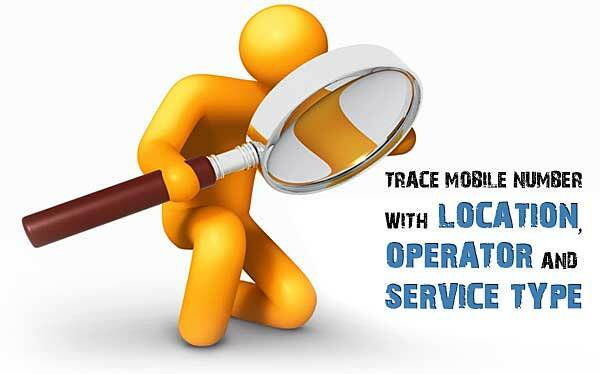 Trace Indian Mobile Location & Operator! PaisaLive Mobile Number Tracker where one can trace mobile number. This mobile number tracker can trace Indian mobile number with name of Service Provider(Operator), Location of a Mobile Number and Service Type(GSM/CDMA) being used by the mobile number. It's Guaranteed that here you can get information of any Mobile Number of Indian Directory with a blink of your eye. It's very quick and better responsive than any other tracker. How to Use PaisaLive Mobile Number Tracer? You can simply copy-paste the phone number in the trace box. Phone number shouldn't leading zero, spaces, hyphens(-), +91 etc. We have covered all the telecom operators in India including private operators like TATA, Reliance(GSM, CDMA) etc. For real phone numbers, this tracer gives 100% accurate information.